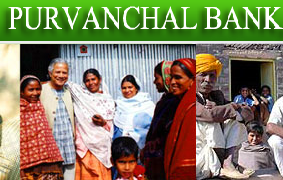 Purvanchal Gramin Bank recruitment (Sponsored by State Bank of India) has given notification, for the post of Officer Scale-I and Office Assistant (Multipurpose) 2014. Here we who can apply for this Purvanchal Bank recruitment who declared IBPS in September/October- 2013. Applying in Purvanchal Gramin Bank, carefully read the important note given below, such as qualification, how to apply online, pay scale, exam pattern (syllabus), admit card /hall ticket, etc. On the basis of RRBs- Common Written Examination (CWE-II) conducted by IBPS in September/October 2013 and Personal Interview. The final selection will be through Total Weighted Standard Scores (TWSS). Submit all the mandatory filled. -Rs. 20/- for SC/ST/PWD candidates. No in State Bank of India i.e. A/c No. 33742282941 (for Officer Scale-I) & A/c No. 33740850462 (for Office Assistant) or CBS Account No. in Purvanchal Bank A/c No. All the candidates call will be sent at their address, Candidate has to affix his/her photograph on the call letter. Without admit card will not allowed to give interview.